Harmonix Blog: DLC Week of 1/17: All That Remains, Asking Alexandria, and Seether! DLC Week of 1/17: All That Remains, Asking Alexandria, and Seether! Go hard with more All That Remains, Asking Alexandria, and Seether DLC for Rock Band 4! More All That Remains content is coming to Rock Band 4 with “Forever In Your Hands”. The single comes from Overcome, the Massachusetts-based band’s fourth album and one of their most successful. “Forever In Your Hands” was the their second single to crack the Top-20 of the U.S. Mainstream Rock chart and remains one of their most-played live songs. It’s a challenging song to play – it’s filled with fast guitar lines and even faster drum fills that run down the length of the kit. Get ready for some dynamic changes on Vocals as they alternate between melodic singing and screaming. The guitar solo has fast HOPOs throughout, and even the drums do a ton of rolling to match the speed the guitar plays. “Hey There Mr. Brooks” is a track from Asking Alexandria’s debut album Stand Up and Shout. Spending nearly a year on the Top Heatseekers chart, the album cemented the band’s popularity right out of the gate. “Hey There Mr. Brooks” will test your strumming speed, as it’s built around quick bursts on guitar and bass. With growled and clean vocals, this song leans more on the growling side, be sure to warm up if you’re going to match the style. Drums have a ton of kicking throughout the song (in various amounts and speeds! ), and the song starts off with a snare-based pattern that’ll throw you early if you aren’t careful. Seether’s “Remedy” is not only one of their biggest tracks, it was also the South African rockers' first single to reach #1 on the Billboard Hot Mainstream Rock Tracks chart. The song spent a total of EIGHT weeks at #1, and helped fuel the success of their gold-selling album Karma and Effect. Drums are the toughest part, with a lot of quick fills and a good amount of change-ups during the song. The instantly recognizable chord riff appears on the guitar, broken up by walking up the frets with single notes. Shaun Morgan’s vocals are every bit as fun as other Seether songs in Rock Band, his voice helping to launch the band into the spotlight. The Rock Band Rivals Season 9 Spotlight Pass can be purchased for $14.99. Songs can be purchased individually for $1.99. 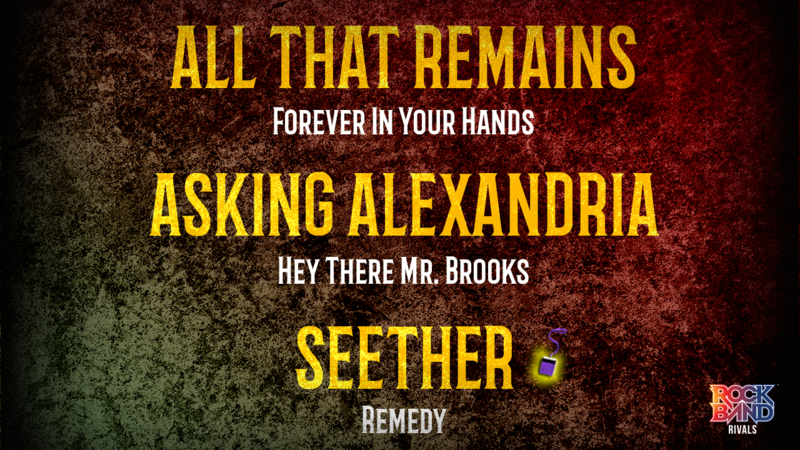 All That Remains - "Forever In Your Hands"
Asking Alexandria - "Hey There Mr. Brooks"
VIDEO: Rock Band 4 DLC Week of 1/17: All That Remains, Asking Alexandria, and Seether! * Please note that this week’s DLC tracks will be available for purchase on Thursday, January 17th. 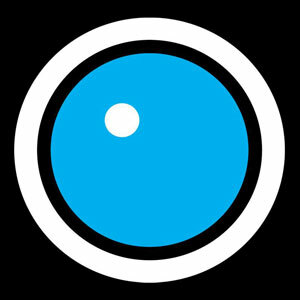 Harmonix is one of the world’s leading independent game development studios, best known for creating blockbuster franchises like Rock Band and Dance Central.